The torch of the Baku 2019 European Youth Summer Olympic Festival will be lit in a ceremony in Rome, Italy, on April 12. Azerbaijani Youth and Sports Minister Azad Rahimov, Vice-President of Azerbaijan National Olympic Committee Chingiz Huseynzade and other officials will join the event, which will also be attended by president of the European Olympic Committees Janez Kocijancic, president of the Italian National Olympic Committee Giovanni Malago and representatives of the National Olympic Committees of other countries. 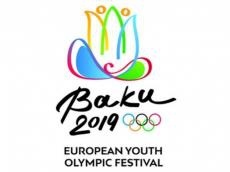 The European Youth Summer Olympic Festival will be held in Baku on July 21-28. A total of 3,600 athletes from 50 countries will contest medals in 10 sports. The festival is the first top European multi-sport event aimed at young athletes aged 14 to 18.